Ohio State University’s new outpatient care center in Upper Arlington’s Kingsdale Center will be home to convenient health services and collaborative spaces, all designed to improve the health and well-being of the community. 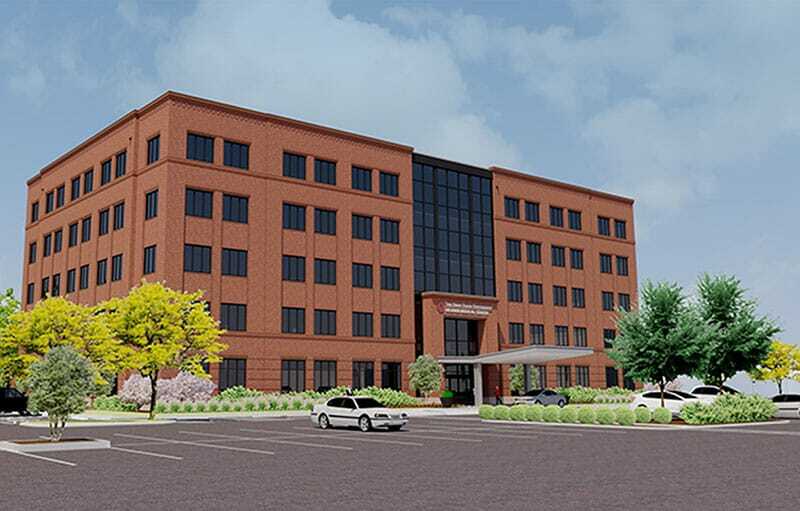 Gilbane was selected by Medstone Realty Company, LLC, an affiliate of Campus Partners for Community Urban Redevelopment, to perform construction management at-risk services for the new, $21.5 million Upper Arlington Medical Office Building project. Located in Upper Arlington, in the residential/retail area commonly known as Kingsdale, The Ohio State University Wexner Medical Center will occupy the building. Currently anticipated to be five levels above grade, the project is expected to be approximately 100,000 SF and will include ambulatory clinics, associated faculty office and staff support spaces, registration, reception, waiting areas, and ancillary support spaces. A preliminary list of medical services that will be supported include cardiology, cardiac rehabilitation, family medicine, general surgery, internal medicine, lab/x-ray, maternal/fetal medicine, vascular surgery, vein solutions, and women’s health.